A Norman knight. The raised pommel forward and rear increased stability in the saddle and the kite shaped shield gave added protection to his exposed legs. The Saxons were not familiar with fighting armoured horsemen. Norman battle tactics were as unfamiliar to the English as their close-cropped appearance and language. Chronicler William of Malmsbury described the differences between the assailants on that `fatal day’. `The English at the time wore short garments, reaching to the mid knee; they had their hair cropped, their beards shaven, their arms laden with gold bracelets, their skin adorned with punctured designs; they were wont to eat until they became surfeited and to drink until they were sick’. The Normans were arrayed in a strange battle formation. There were three divisions of three lines, with the Bretons to the left, Flemish and French on the right and William’s men in the centre. Some 1,500 archers were positioned ahead of 4,000 heavy infantry with 2,000 knights waiting expectantly in the rear for the first signs of a breach in the shield wall. 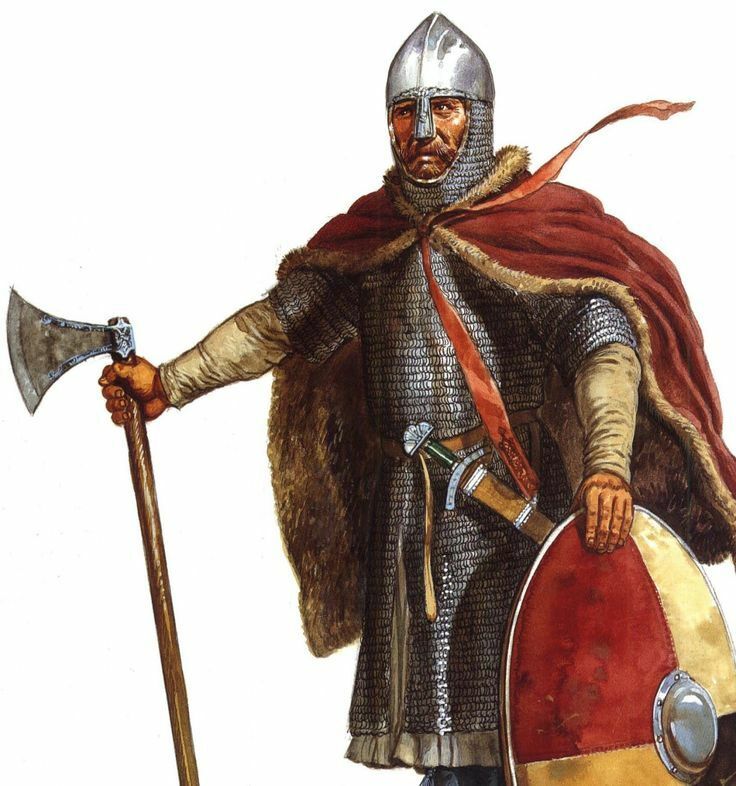 William of Malmsbury described the Normans as `exceedingly particular in their dress’ and `fierce in attacking their enemies’. Unlike the solid formation ahead of them, the Normans were `ready to use guile or to corrupt by bribery’. They were accessible to new ideas and fought as such, `they weigh treason by its chance of success, and change their opinions for money’. This was a clash of two cultures. William’s men were independent-minded adventurers, like their Viking forefathers. They fought for plunder and economic gain as well as for their lords. Buoyed by Papal support and the promise of power and riches by Duke William all the soldiers had participated in a high-risk enterprise. By crossing the Channel, a perilous voyage in questionable weather, they had burned their boats. Going back was hardly an option. They were a disciplined force, as evidenced by William’s masterful logistics and tight control. He mustered a force of 10,000 to 14,000 men and kept them intact and focussed throughout a long summer in the Dives and Somme estuaries prior to the crossing. The biggest and riskiest amphibious operation mounted since Roman times paid off, the landings were unexpectedly unopposed. William’s landing force was an inter-ethnic mix of about 2,000 Bretons, 1,500 Flemings and French and 4,000 Normans. More diverse than the English, but unlike them, the majority were hardened professionals, mercenaries and accordingly equipped. 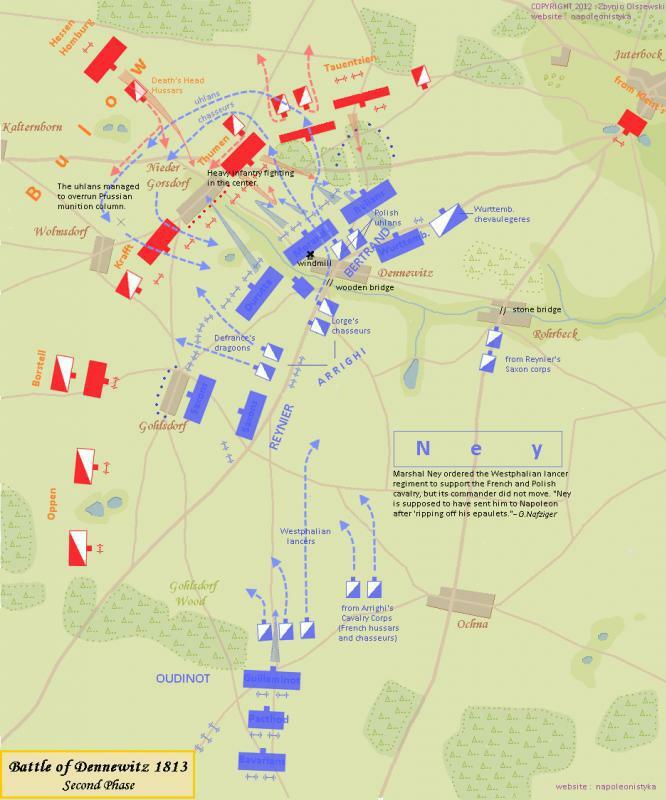 Two weeks of rapine and plunder in the surrounding English villages followed the months of enforced inactivity in France, a deliberate policy to goad Harold into battle. After the disciplined restrictions placed on their sojourn in the Dives estuary awaiting favourable winds, unrestricted warfare against defenceless civilians had been welcomed by warriors used to raiding back home, especially as it formed part of God’s will. With so little opposition to date, William’s men probably felt confident they would give the effeminate English a beating. They had not even appeared to defend the helpless villages they razed to the ground, and after this battle there would be even more. Armoured horsemen had been gaining steadily in importance on the Continent but were less well known in England. 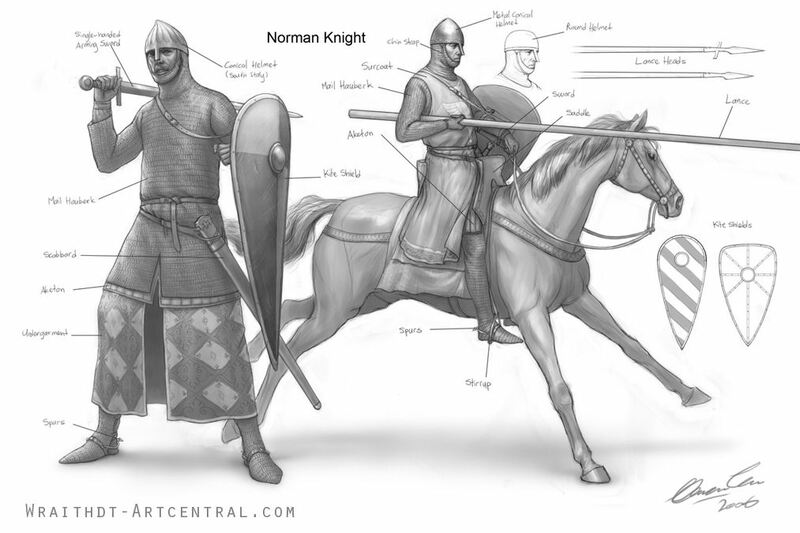 Norman knights were identically armed and clad like the Housecarls and Thegns although knights wore knee-length mail hauberks, split front and rear for riding with an integral mail hood. Helmets could be hammered from a single piece of iron or made of riveted segments, padded within with leather or cloth to cushion the head against blows. These conical helmets often had a nasal guard to protect the nose and face, giving the wearer a grim impersonal appearance, which could be embossed and decorated to add to the wearer’s fierceness. The Norman archers failed to make an appreciable indentation on the Saxon shield wall, because flights loosed uphill tended to stick in shields or go overhead. The Bayeux Tapestry shows axe and sword wielding Housecarls with clusters of arrows protruding from their shields. Cross-bows were employed at close ranges and these men, like the archers, occupied the lowliest social position in William’s army. Hideous wounds caused by cross-bow quarrels against the unprotected Fyrd apparently caused real dismay in the depth of the English shield wall. It soon became apparent to the Normans that the only way to break through would be by direct attacks by mounted knights. `.Rushed straight upon a Norman knight who was armed and riding on a warhorse, and tried with his hatchet of steel to cleave his helmet; but the blow miscarried, and the sharp blade glanced down before the saddle-bow, driving through the horse’s neck to the ground, so that both horse and master fell together to earth’. Once down at the edge of the shield wall he was finished. The Bayeux Tapestry suggests the Norman knights were jabbing their lances over the top at those behind, riding by, especially vulnerable to being unhorsed by a whirling axe. Slowed down by the climb, stumbling horses were pushed away from the pliant shield wall, acting like an aggressive rugby scrum. Examination of surviving skeletons from the period reveals that most injuries appear to have been inflicted to the upper head and shoulder and lower pelvic region. Skull indentations suggest many fighters had no head protection at all. Injuries to the upper leg and pelvic region point to the common fighting practice of disabling with a spear thrust and then finishing off the victim as he tumbled to the ground, with a sword or axe blow to the head. The Normans were raiders, adept at swift mobile cavalry sweeps. Once elements of the Fyrd had been enticed beyond the shield wall by feigned retreats or cut off in groups, they were easy meat for the Norman horsemen. This mounted element and the employment of archers in support gave the Normans a greater degree of flexibility to whittle down the more immobile shield wall. Williams mounted command capability gave him an edge in this very tight contest between two evenly matched, tactically astute and ruthless warlords. It was a close run battle, lost with the fall of key commanders at crisis points. The Normans ventured all, planned cogently and won. 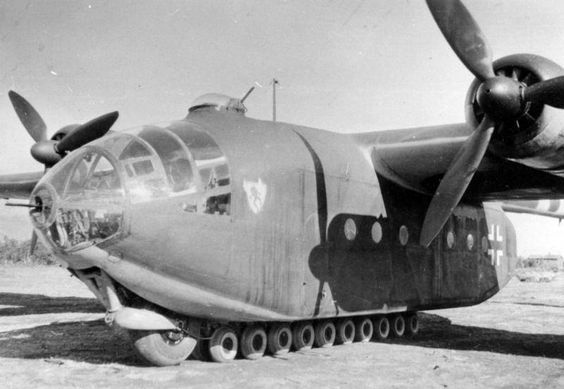 Arado Ar 232 Tausendfüßler or “Millipede” cargo aircraft. Even before the rise to power by the Nazis in the 1930s, German technology had earned a reputation for precedent-setting breakthroughs. Furthermore, among American air power theoreticians, Gen Billy Mitchell would ultimately gain a reputation for prescience that was at times startling. So, a vignette about Mitchell in Germany in 1922 sets the tone for what was to follow. In February 1922, Mitchell and his assistant Alfred Verville visited Germany, where fellow American air power pioneer (and some-time Mitchell rival) Benjamin Foulois enjoyed status as a military attaché assigned to The Hague with observer taskings in Berlin. Foulois had gained the confidence of a number of World War I German aviators, including Hermann Göring. As an American observer in Germany, Foulois sent substantial documentation back to the United States, but to his chagrin, he believed it was not properly leveraged to gain an early appreciation of post-World War I Germany. During Mitchell and Verville’s visit to Berlin, Verville later recounted, Mitchell launched a diatribe one morning against what he likened as automobile engines for aircraft. According to Verville, Mitchell posited that somewhere a German scientist was already working on a new powerplant for use in the next war possibly two decades hence. Mitchell challenged Foulois, with his German contacts, to produce that German scientist. Foulois arranged a meeting with some Germans, one of whom was an assistant to Hermann Oberth. Oberth explored early notional rocket technologies. One of his later assistants was a young Wernher von Braun, who would later credit Oberth with setting von Braun’s famous career path in rocketry that culminated in the successful Apollo program for NASA. At the 1922 meeting with Mitchell, the German assistant agreed that “automobile-style” aircraft engines would give way to as-yet unperfected turbines burning kerosene. Discussions and demonstrations next depicted future rocket engines that would burn a mixture of alcohol and something the Germans called “liquid air,” Verville related. He also noted the Germans envisioned a range of 400km and speeds upward of 3,000 mph. As Mitchell’s assistant, Verville was possessed of significant aeronautical acumen. According to accounts, Verville recalled how Mitchell was clearly affected by what the Germans had said and demonstrated, but this early meeting apparently did not have any effect on American policy at that point. Yet history proved Mitchell’s powers of prediction largely correct when it came to the development of better aircraft powerplants, strongly influenced by German explorations. The emergence of a renewed German military aeronautical capability in the early 1930s was initially masked by various subterfuges, ranging from the location of training fields far to the east, away from casual observation, to the duplicitous use of aircraft that had dual transport and bombardment capabilities. As the decade advanced, Hitler’s emboldened regime revealed more about its nascent air force. In the United States, developments in Germany initially prompted varied reactions. It has been estimated that as many as 75 percent of Americans at one time preferred isolation and noninvolvement in European confrontations in the years leading up to 1941. If postwar tellings of American history tend to make it seem everyone was united in the nation’s posture toward war, such solidarity was achieved only at the expense of Pearl Harbor. An active voice in the pre-war American milieu said European wars were inevitable and interminable, and not the province of Americans. Revulsion at the still-remembered horrors of World War I trench warfare influenced American isolationism. Ironically, the American population was composed largely of European expatriates and their offspring; émigrés who showed, by their very removal to the United States, a willingness to turn their backs on their former homes across the Atlantic. The isolationists, including some prominent members of Congress and the media, did what they could to blunt the clearly interventionist desires of the Roosevelt administration. The ebb and flow of isolationist support in the United States changed in response to world events as well as actions by the US government in the 1930s and through nearly all of 1941. Yet even during times of ambivalence toward Europe, some Americans were early observers of German rearmament. A knowledgeable celebrity vector into the new Luftwaffe was provided by famed aviator Charles Lindbergh; he made several visits to Germany in the 1930s, where he was apparently given wide access to new aircraft and organizations. Generally, American military intelligence limped along in the interwar years. Most talented officers gravitated towards combat commands, and those that chose intelligence went overseas with little training and few resources. No consensus existed on collection protocols, attachés often just submitting questionnaires to foreign contacts. One notable exception to this general pattern was Maj (later Lt Col) Truman Smith, a gifted and experienced infantry officer who arrived in Berlin as Military Attaché in August 1935. Smith, who blended a military intellectual’s insight with a combat officer’s instincts, quickly realized he faced challenges requiring immediate resolution: his office was receiving contradictory inputs on the state of German aeronautics; and the office’s air intelligence effort was at best sporadic, too-focused on preparation of an annual report that had but limited value. Col Smith later said in a sworn statement that, “it was my function while I was Military Attaché in Berlin from July 1935 to April 1939 to keep abreast of the strength, organization, and training standards of the German armed forces, to keep myself advised of all economic, political, and military activities and trends that might have a bearing upon German capabilities and intentions of waging war.” Smith went on to say his findings were mostly the result of his own observations while in the field with German troops, or visiting German airfields, military installations, and factories producing war materiel. While Smith acknowledged inputs from Germans as well as US State Department representatives, his sworn statement’s explanation did not mention one of his correspondents by name: Charles Lindbergh. Lindbergh’s publicized visits to Germany, where he was ostensibly treated with the cordial courtesies extended to a celebrity, prompted the American aviator to offer observations on Germany to Smith, Gen “Hap” Arnold, and publicly. Lindbergh, outspokenly isolationist in his views, has been called the only person opposing Franklin Roosevelt’s pre-war interventionist ambitions who had the charisma and presence to match and even outmaneuver the savvy Roosevelt on some levels. Nor did Lindbergh’s pronouncements only concern isolationism; in 1934 he was critical of the Roosevelt administration’s actions in canceling air mail contracts, and it seems evident Roosevelt did not take this lightly or with pleasure, coming from one with Lindbergh’s credentials. Official correspondence from Smith to Lindbergh sometimes merged collegial chattiness with official business. In one 1937 letter sent just after the completion of Smith’s important assessment of the Luftwaffe, Smith offers Lindbergh the use of the official attaché automobile to facilitate future travel in Germany. The letter also politely scolds Lindbergh for sending Smith “certain data” via mail instead of diplomatic pouch, where the security of such information was expected to be greater. [t]he military aptitude of the German people … The technical and scientific skill of the race … The vision of General Göring who from the start planned a fantastically large Air Force and Air Industry and who at the same time possessed the energy to convert his plans into reality … The unified direction and execution made possible by the dictatorial nature of the German Government … The wise realization of the German air authorities at the start of their rearmament that other nations, especially the United States, were far in advance of them, both in scientific knowledge and technical skill. This humbleness of spirit has been one of the chief strengths of Germany. The old adage that self-dissatisfaction is true strength has never been better exemplified than in the German air development from 1933 to 1937. There is every reason to believe that the plants identified only give a part of the picture and that the truth, could it be known, would show a still higher potential production. The scale of the German airplane motor industry is no less impressive. It is ever and again the size of this industry, which forces the foreigner, – and even the American who is accustomed to think in big terms, – to pause, ponder and wonder as to the future. Behind this industry stands a formidable group of air scientists, with large and well-equipped laboratories and test fields, constantly pushing forward the German scientific advance. This advance is remarkable. The fact that the United States still leads in its air science and manufacturing skill must not be allowed to overshadow the German achievements between 1933 and 1937 and above all, not to lead to an underestimate of what Germany will achieve in the future. An intriguing give-and-take characterized American and German aeronautical advances from the 1920s through the immediate post-World War II era. Airfoil research and rationale emanating from Germany’s Göttingen laboratories set the cadence in the post-World War I (and pre-Nazi) era. In 1932 America’s National Advisory Committee for Aeronautics (NACA, forerunner of NASA) acknowledged German precedents in the development of wing airfoils. Soon, NACA’s extensive catalog of varied airfoils with traits suitable for different types of aircraft would be seen as the standard, but it owed much to the pioneering efforts of German scientists at Göttingen. Meanwhile, German rocket scientists and enthusiasts were early to recognize the encouraging work of American rocketry pioneer Dr. Robert H. Goddard. 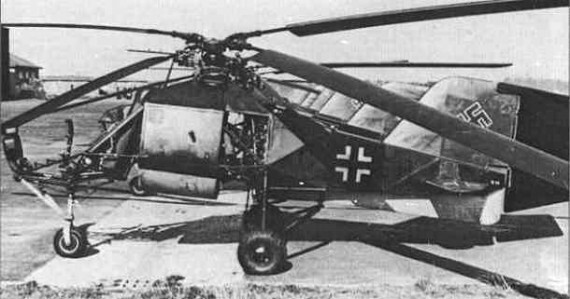 Immediately after World War II, important German theory in wing shapes would once again augment the developments of the postwar NACA in the United States. Dr. George Lewis, Director of Aeronautical Research for the NACA, was predicting in 1936 that Germany would steal the march on state-of-the-art aeronautics unless the United States stepped up its investment in research and infrastructure. Smith’s November 1937 report about German air power was blunt in its characterization of some other nations friendly to the United States: “[B]ecause on November 1, 1937 the American technical level, which is but one phase of air power, has not been reached [by Germany], is no ground for the United States to adopt the British policy of smugness. If so, we shall be as doomed to the same position of air inferiority with respect to Germany, as France now finds herself in and which Great Britain just as certainly will find herself in tomorrow – unless she realizes promptly her own shortcomings.” Clearly, Smith was sounding an alarm about current and impending German aeronautical prowess. The German air industry has been strategically located and each factory has been designed on tactical principles. Factories are located as far back from the frontier as possible and the new factories, while many, are relatively small. The principle of factory design is that there may be many separate and small buildings, each with separate powerplant and bomb and gas-proof chambers. Each is designed to operate as a complete airplane factory in time of emergency. This lay out of industry, which gives it great defensive strength against hostile air attacks, must be reckoned an important element of German air industry and air power. Interestingly, the postwar United States Strategic Bombing Survey (USSBS) noted that the German electric power system, “except for isolated raids, was never a target during the air war. An attack was extensively debated during the course of the war. It was not undertaken partly because it was believed that the German power grid was highly developed and that losses in one area could be compensated by switching power from another. This assumption, detailed investigation by the Survey had established, was incorrect.” The postwar surveys concluded that the German electric power situation was precarious from the beginning of hostilities, and only declined as the war unfolded. Evidence has not been located to suggest conclusively that the USAAF’s disinterest in attacking German electrical power emanated from Smith’s 1937 report, but the apparent divergence merely suggests even an observer as prescient as Truman Smith may have misread some of the signs, or possibly been misled by his German hosts. The November 1937 report judged German air power mature enough “where it must be given serious consideration as a powerful opponent of any single nation.” Citing “qualified officers” who had recently inspected the air forces of Germany, as well as of Great Britain and France, the report was blunt in its assessments: “Technically, Germany has outdistanced France in practically all fields. Germany is on the whole superior to Great Britain in the quality of her planes, but is still slightly inferior to Great Britain in motors, but rapidly closing the gap.” British and French air force training levels were judged to be better than those in Germany in late 1937, but during that year Germany was seen to reduce the gap in training with those countries. Smith’s seminal 1937 report qualifies some of its attached lists of German Air Force units, strengths, and factory locations with the notation that secrecy made it difficult to judge if all such tallies were complete and up to date. Of interest is a map showing that German aircraft motor construction plants tended to be located deep in Germany and somewhat concentrated. This situation appeared corroborated later as the war unfolded, causing the USAAF to make a conscious decision about delaying a campaign against German aero engine production until sufficient aircraft were on hand to permit safe and recurring long-range missions to that part of Germany to cripple motor production, as would be seen later. Lindbergh’s access to German airspace in the late 1930s seems, in hindsight, surprisingly unfettered, unless Germany’s intent was that the American aviator should see many Luftwaffe fields as he transited the country in his own aircraft. In late October 1937, Charles and Anne Lindbergh flew from Germany to their residence in England, affording the opportunity to overfly at least six Luftwaffe airfields, at which Lindbergh observed and reported to Truman Smith the presence of various fighters, trainers, and Do 17 bombers. Over the following year, Lindbergh lobbied a number of American policymakers as he continued to express concerns over the growing might of German air power. He indicated concerns that France could not effectively defend against a German attack, and he expressed some doubt about Great Britain’s abilities at defense, although he gave the country higher marks than France. He presumed Russian aircraft construction to be effective, yet inferior to the manufacturing abilities of the United States. All of which, he told Joseph P. Kennedy, the US ambassador to Great Britain, suggested a European war could damage all combatants and lay Europe open to the spread of communism. Lindbergh also urged USAAC Gen Henry H. “Hap” Arnold in November 1938 to visit Germany to learn firsthand how the Luftwaffe and industry were developing. As Germany expanded its grip on portions of the European continent by the fall of 1940, the availability of raw materials for aircraft construction – mainly aluminum and steel – appeared assured with access to Hungarian bauxite resources and Silesian aluminum plants and coal deposits. This was reported by Truman Smith in September of that year as he once again endeavored to provide an updated forecast of German aviation growth in the coming year. Using the information available to him, Smith posited in September 1940 that Germany would produce a minimum of 42,000 aircraft of all types between September 1, 1940 and September 1, 1941. German records indicate the number was closer to 12,000 for that time period. But if Smith’s estimates were based on capacity, he could not have known for sure the political and strategic decisions that went into the actual construction effort for that period. The intrigue of life for an American in Germany in the 1930s was embraced by Truman Smith. His proactive efforts to quantify German military growth and strength provided a basic guide that appears to have subsequently informed target priorities after the United States became embroiled in the European war. Perhaps the ultimate irony of the isolationist counsel that Smith’s newfound friend Charles Lindbergh gave to all who would listen came on December 11, 1941 when Hitler, only days after the Japanese attack on Pearl Harbor, removed all ambiguity by declaring war on the United States. As Military Attaché to Germany during the fateful period from August 1935 to March 1939, Col Smith accurately reported Nazi Germany’s rapidly growing military strength and intentions and greatly facilitated the efforts of the United States Army to keep abreast of German organization, tactics, and equipment. His reports stimulated action and were in a measure responsible for the manner in which the Army developed its plans to build up the military strength of this country. Upon the return of Col Smith to the United States his intimate and expert knowledge of the enemy was of importance to the formulation of Allied strategic plans. If Germany and Japan won early victories in part due to their stunning, decisive offensives, the air of invincibility the Axis powers projected in 1942 was sobering, and in need of studied evaluation. By 1942, the Royal Air Force (RAF) had shown the Luftwaffe could be thwarted, yet the depth and breadth of the German Air Force was far from mapped by the Allies at this early stage of the war. 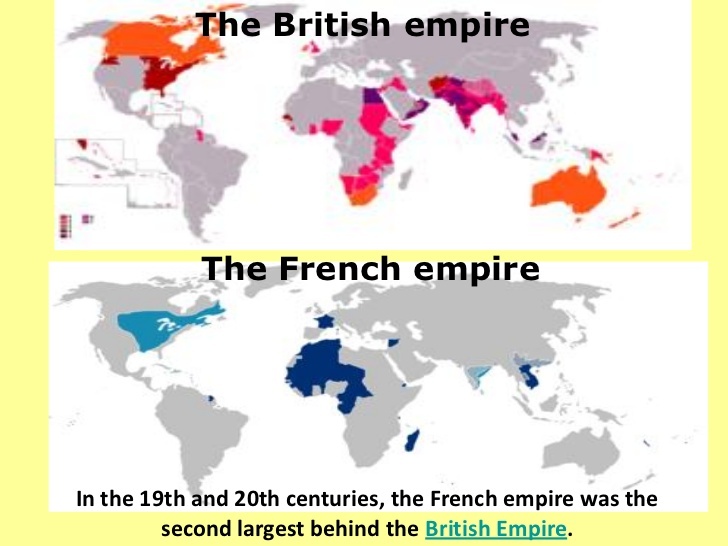 Disintegration of the French Empire continued inexorably over three wartime stages. From the Phoney War, through Vichy dominance in 1940–2, to the Free French ascendency cemented by de Gaulle’s triumphal return to Paris on 25 August 1944, life remained very hard for colonial subjects. The three stages thus shared one point in common despite the fact that French political leadership differed in each one. Throughout the war years, economic hardship, typified by foodstuff shortages and chronic price inflation, matched social exclusion and political repression in bearing more heavily on colonial lives than the progress of allied campaigns or changes at the top of the colonial tree. French North Africa is a case in point. Typically discussed in relation to the aftermath of French defeat in 1940 as well as in terms of the outcome of Operation Torch, the French-ruled Maghreb was convulsed by other pressures entirely. From the economic impact of conscription in autumn 1939 through the foodstuff crises and urban public health scares that sapped French capacity to overcome the material consequences of metropolitan defeat, French North Africa’s war looked very different to the local administrators and wider populations that lived through it. Viewed in this way, the war years were most notable for the irreversible damage they wrought to economic stability and the hierarchies of colonial rule in North Africa. By the time General Maxime Weygand took over as Algeria’s Governor-General on 17 July 1941 French North Africa’s economic fortunes had declined precipitately. Fuel and foodstuffs were in short supply, the agricultural economy was profoundly disrupted, and average wages languished at subsistence level. For all that, economic crises and limited sovereignty proved no barrier to the embrace of Vichy’s ‘National Revolution’ by colonial regimes enthused by the Pétainist cults of xenophobic ultra-nationalism, stricter social hierarchies, and a rural nostalgia flavoured with Catholic pro-natalism. Peasant values, large families, and veneration of conservative, often anti-republican institutions—the Catholic Church and the military foremost among them—came naturally to settlers and authoritarian administrators. Thus we find Jean Decoux, another Admiral catapulted to political prominence as Vichy’s Governor of Indochina, promoting Pétainist youth movements in French Vietnam, celebrating the cult of Joan of Arc (Vichy’s preferred symbol of patriotic self-sacrifice), and lauding the ‘magnificent’ fecundity of a settler couple from Tonkin whose twelve children holidayed near the Governor’s Palace in the Vietnamese hill station of Dalat. The air of detachment from reality was hardly surprising when the realities in question were so alarming: the dual menace of a Japanese takeover and an incipient Vietnamese revolution impelled by French inability to satisfy the most basic needs of Indochina’s peoples—for security and food. Furthermore, British officialdom’s enduring scepticism about de Gaulle and Free France as rulers of a revitalized French Empire was writ much larger across the Atlantic.68 In February 1942 Maurice Dejean, foreign affairs commissioner in the French National Committee, articulated a widely-held view among Gaullist staff about the underlying reason behind the Roosevelt administration’s enduring coolness towards Free France. The answer, Dejean insisted, lay in a secret US-Vichy deal whereby Marshal Pétain’s regime agreed to minimize strategic concessions to Germany provided that the United States left Vichy’s empire alone. US recognition of de Gaulle was allegedly withheld as part of the bargain. The simpler reason for Washington’s derision of Free France was that Roosevelt loathed de Gaulle, a man he considered pompous, autocratic, and selfish. But Dejean’s conspiracy theory was less outlandish than it seemed. Roosevelt’s special envoy, Robert Murphy, agreed with Admiral Darlan in March 1941 to trade US foodstuff convoys to Vichy for the promise (quickly broken) to limit collaboration with Germany, particularly in North Africa. Murphy’s talks marked the beginning of a longer-term association that climaxed in the so-called ‘Darlan deal’. It left Vichy’s former premier at the head of government in Algiers in return for the regime’s acquiescence in Operation Torch, the US takeover in Morocco and Algeria after only seventy-two hours of fighting in November 1942. American policy continues to be the result of several diverse factors: wild romanticism, brutal materialism, economic imperialism, anti-colonialism, anti-British and anti-Russian tendencies, Machiavellianism and puerility, the whole lot combining into something Messianic and unconsciously sure of itself. Excluded from Torch planning, de Gaulle was even more incensed by American support of his new rival for leadership of the Free French, General Henri Giraud, in the limited handover of power that followed Darlan’s assassination in Algiers on 24 December 1942. The mutual incomprehension that characterized the Roosevelt–de Gaulle relationship only deepened when they met for the first time at the inter-allied conference in Casablanca in January 1943. Side-lined during the summit, de Gaulle’s attitude went from frosty to glacial as he watched the Americans fete the rather wooden and politically obtuse Giraud. When de Gaulle eventually came face to face with Roosevelt, members of the President’s secret service detail hid behind the meeting-room curtains, their tommy guns poised.77 Hardly the beginning of a thaw. Operation Torch also cast a spotlight on the changing economic balance of power in the Maghreb as the US invasion force moved rapidly eastwards. Its supply needs took precedence over all else and the Americans’ dollar purchasing power placed the French North African franc under strain. After Torch, the Algiers authorities quickly negotiated a provisional franc–dollar exchange rate with the US Treasury Department. This was, in turn, supplanted at the Casablanca conference by a stabilization accord that pegged the value of the franc throughout French Africa at fifty to the dollar. Although the greater price stability that resulted was welcome to North Africans, the Casablanca economic agreements did not curb the overweening power of a local black market in which dollars reigned supreme to the detriment of rural consumers least able to obtain them. It was no coincidence that, during the 1943–4 hiatus of transfers of executive power between Vichy and Free French administrations, the founding statutes of leading nationalist groups, including Algeria’s Amis du Manifeste et de la Liberté and Morocco’s Istiqlal (Independence) movement cited poverty and economic exploitation as justifications for their anti-colonial platforms. Likewise, Messali Hadj’s Parti du Peuple Algérien, still the major force in Algerian domestic politics despite being banned outright since 1939, insisted that any ideological differences between Vichy and Gaullist leaders were eclipsed by their shared colonialism, a phenomenon epitomized by ruthless wartime economic extraction. Whether Algeria’s foodstuffs, minerals, and other primary products were shipped to Marseilles and thence to Germany or to Allied ports, the essential fact was that Algerians, denied any democratic choice over participation in the war, went hungry. Messali received a fifteen-year sentence of forced labour from a Vichy military tribunal on 28 March 1941. So he might have been expected to welcome the advent of a Gaullist provisional government in Algiers, the French Committee of National Liberation (FCNL). The nomenclature was telling. As Messali asked FCNL members on 11 October 1943, why should Algerians support French liberation when their own national freedom was denied? Meanwhile, to the east, US forces moved into Tunisia over the winter of 1942–3. Local sections of the country’s dominant nationalist group, Néo-Destour (the ‘new constitution’ party) had been denuded by police harassment and long prison terms. Hoping that the party leader Habib Bourguiba and his followers would repudiate their erstwhile French persecutors the German authorities freed the Néo-Destour executive in January 1943. They were disappointed. Bourguiba denounced the Nazi occupation of Tunisia, thinking that his bravery might be rewarded by de Gaulle’s followers. This, too, proved a vain hope. Repression of nationalist activity resumed once Rommel’s forces were evicted. During 1944 the Free French re-imposed the ban on Bourguiba’s party and ignored Tunisia’s status as a protectorate with its own monarchical administration by enacting legislation that centralized political power under French authority. This signalled the beginning of Bourguiba’s turn away from France towards the cultivation of Arab and US opinion, a strategy pursued until Tunisia achieved its independence in March 1956. North Africa’s political violence in 1944 was gravest in Morocco. The ill-advised FCNL decision to arrest the four leaders of the Hizb el-Istiqlal, Morocco’s foremost nationalist voice, on 29 January provoked rioting in Rabat, Salé, and Fez, the death of at least forty protesters, and the arrest of over 1,800 more. As urban disorder became endemic in Morocco even the Algiers authorities admitted that supply problems, iniquitous rationing, and consequent shortages had become inseparable from nationalist dissent. Perhaps inevitably, the nature and scale of Maghribi recruitment to the First French Army, which was meanwhile fighting northwards through Italy, Corsica, and southern France, deepened the animosity between the Gaullist imperial establishment and their nationalist opponents. To the former, these units confirmed the unity of purpose between France and its North African subjects, although the army’s cadres were progressively ‘whitened’ the closer they got to the French capital. To the latter, the large numbers of North African army volunteers merely indicated how desperate they were for a steady income. And it was a different story for Algerian conscripts among whom desertion rates climbed towards twenty per cent by July 1943 with some 11,119 out of 56,455 avoiding the call-up over the preceding six months. The Free French were hard-pressed to conceal the signs of unrest in their newly-consolidated African empire. But the breakdown of colonial authority went furthest in the Indochina federation. Admiral Decoux’s faltering pro-Vichy government was isolated and broke. It was also threatened from three sides. For General Tsuchihashi’s Japanese military administration the bureaucratic convenience of leaving a bankrupt colonial regime in place became questionable. For the regime’s internal opponents, many of them loosely connected in a Communist-dominated coalition called the Vietminh, the implosion of French colonial authority enhanced the prospects for a rapid seizure of power. Finally, for the Americans it made sense to work with Vietminh guerrillas, the sole group capable of mounting any serious local challenge to the Japanese. None of these three alternatives appealed to de Gaulle’s supporters, of course. Without the resources to intervene independently in Indochina and unable to ‘turn’ Decoux’s government their way, de Gaulle’s provisional government newly installed in liberated Paris could do little. Observing the situation in Vietnam, the Gaullist military attaché in Nationalist China conceded that the Indochina Federation had become ‘a no man’s land’ for the major allied powers. None dared intervene decisively lest they antagonize one another or, far worse, trigger the Japanese takeover they all feared. It was the Vietnamese who seized the initiative. By December 1944 Ho Chi Minh and Vo Nguyen Giap, the Vietminh’s leading strategic thinkers, had established the National Liberation Army of Vietnam, which operated from ‘free zones’ in the far north. Choosing to overlook the Vietminh’s ideological leanings, the US and British special services—the OSS and SOE—offered training and equipment for sabotage attacks on the Japanese. Three months later the Japanese struck back. The American re-conquest of the Philippines in early 1945 had alerted Japan’s Supreme War Council to the possibility of similar US amphibious landings in Indochina. These might be supported, not just by the Vietminh but by Decoux’s government as well. Tokyo therefore presented the Governor with an ultimatum: place his administration and the French colonial garrison under Japanese command or face the consequences. Decoux’s ‘non’ spelt the end of French rule—albeit temporarily. Japanese units swept through Hanoi on the night of 9 March, killing scores of French bureaucrats and troops, and interning those unable to make a fighting retreat northwards to China. A puppet regime under Emperor Bao Dai was set up in Hue, Vietnam’s imperial capital. Parallel monarchical regimes were re-established in Laos and Cambodia, which reverted to its pre-colonial title of Kampuchea. All three promptly declared ‘independence’ from France under the approving gaze of General Tsuchihashi’s occupation forces. From taxation systems to school curricula, symbols of French colonial power were hastily removed. Kampuchea’s Prince Norodom Sihanouk even restored the Buddhist calendar and urged his subjects to abandon the use of Romanized script. The limits to this independence soon became tragically apparent in northern Vietnam where the new authorities under Premier Tran Trong Kim could not prevent heightened Japanese requisitioning, which destabilized the local rice market. Chronic price inflation made food of any kind unaffordable for the poorest labourers and their families. Famine took hold. It was especially devastating in the Red River Delta and two densely-populated provinces of northern Annam. Village populations collapsed. Some locked their doors, resolved to die together as a family. Others became famine refugees begging on the streets of local towns and cities. One Hanoi resident described the scene: ‘Sounds of crying as at a funeral. Elderly twisted women, naked kids huddled against the wall or lying inside a mat, fathers and children prostrate along the road, corpses hunched up like foetuses, an arm thrust out as if to threaten’. Starvation dominated North Vietnamese politics by early 1945. The faction fighting among the French colonial rulers was at best an irrelevance, at worst an act of shocking insensitivity. Not surprisingly, the combination of Japan’s military coup and the tragic shortcomings of its new surrogate authorities in Indochina enhanced the Vietminh’s legitimacy as a popular resistance movement. For the Western Allies, impatient to secure victory over Japan, as for Vietnamese, Cambodians, and Laotians facing Japanese exactions and resultant food shortages, the Vietminh counted for more than the French as spring turned to summer 1945. Supacat’s Jackal 2 in all its glory represents over 7 tons of armoured reconnaissance vehicle; note the vital V-shaped hull at the front designed to reflect mine or IED blasts away from the crew. Armoured plates on the sides also offer the occupants some protection from small arms. The ability of the Jackal 1 and 2 to tackle almost any terrain meant that the vehicle soon won favour with British troops serving in Afghanistan. Factory fresh, the Coyote is essentially a 6×6 derivative of the Jackal. 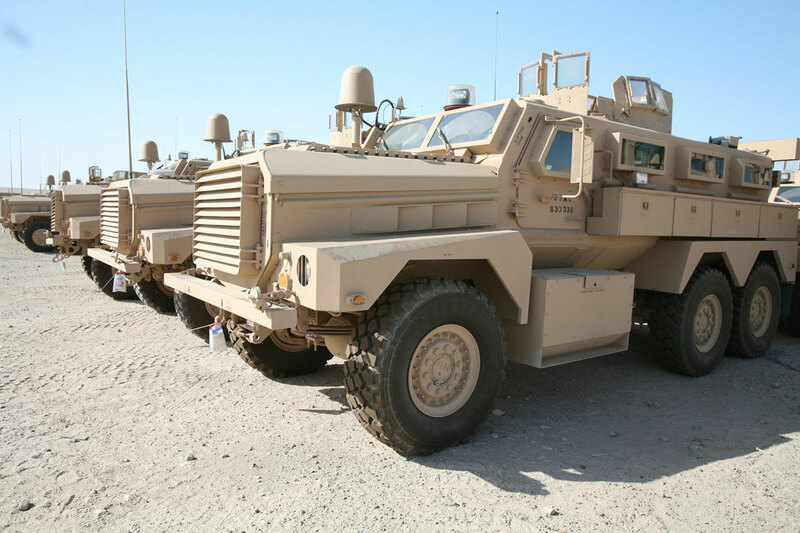 The American 6×6 Cougar mine-resistant infantry mobility vehicle. Depending on its configuration it is known as the Mastiff and the Wolfhound protected patrol vehicles in British army service. The British also used the 4×4 version dubbed the Ridgeback. The Urgent Operational Requirements (UORs) thrown up by the British army’s deployments to Afghanistan and Iraq resulted in the provision of a plethora of new military vehicles. Force protection became the primary focus for armoured vehicles, rather than the more traditional mechanised warfare role. While offensive battle groups still played their part, getting forces from A to B and conducting patrols unscathed in the face of a mounting IED threat became a greater priority. In total some 2,700 vehicles were supplied to the British army during the period November 2008 to April 2011 consisting of 18 different types. UORs saw the successful provision of such force-protection vehicles as the Jackal, Mastiff and Ridgeback to the front line in Afghanistan, followed by the Panther and Springer. The Husky 4×4 and wolfhound 6×6 were part of the deliveries, while the tracked Viking was replaced by the newer armoured Singaporean Kinetics Warthog. Notable among them was the Jackal, which provided off-road mobility, firepower and armoured protection for reconnaissance and convoy security duties. This served to complement and support the British army’s fleet of Mastiff/wolfhound 6×6 (US Force Protection’s Cougar – British integration work was carried out in Coventry by NP Aerospace), the 6×6 Pinzgauer Vector (LPPV), Panther 4×4 command vehicle and the Husky 4×4. The Ministry of Defence announced the purchase of 130 new weapons-mounted patrol vehicles in mid-2007 under an UOR for Iraq and Afghanistan. 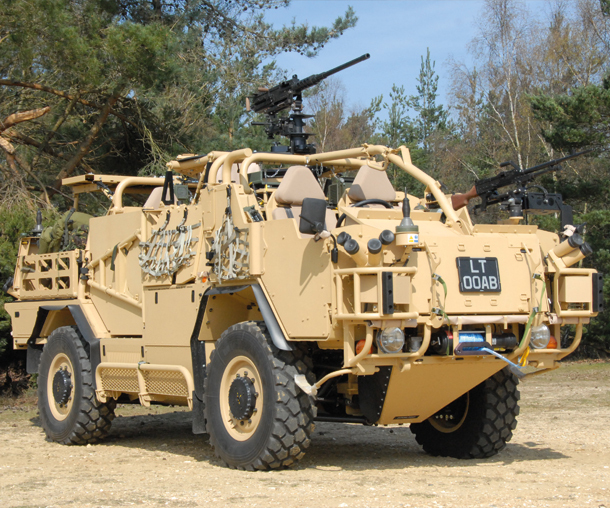 The Jackal I high-mobility weapons platform designed by Supacat and manufactured by Babcock/Devonport Management Ltd (DML) at their facility in Plymouth delivered a much-needed boost to the existing greatly maligned WMIK fleet (weapons Mounted installation Kit – initially installed on Land Rover Defenders), offering more firepower, a better range and crucially all-terrain mobility. The vehicle was fitted with a range of heavy firepower (including a .50 calibre machine gun or an automatic grenade launcher and a general purpose machine gun), as well as carrying a crew of four with their personal weapons. Drawing on operational lessons, the £74 million follow-on order for about 110 state-of-the-art enhanced Jackal 2 and more than 70 Coyote Tactical Support Vehicles was awarded to Supacat in early 2009. The latter is based on a 6×6 derivative of the Jackal. Both vehicles were bought as part of the Ministry of Defence’s £700 million Protected Patrol Vehicles package. While Babcock secured the contract for the Jackal I, Supacat was the prime contractor for the Jackal 2. The company has a long history of supplying military vehicles, but is perhaps best known for the compact Supacat 6×6 All-Terrain Mobility Platform (ATMP). This is now in its third generation with over 200 currently in service with the world’s airborne and special forces. In part thanks to the ATMP Supacat has made itself a leader in high-mobility transporter technology. 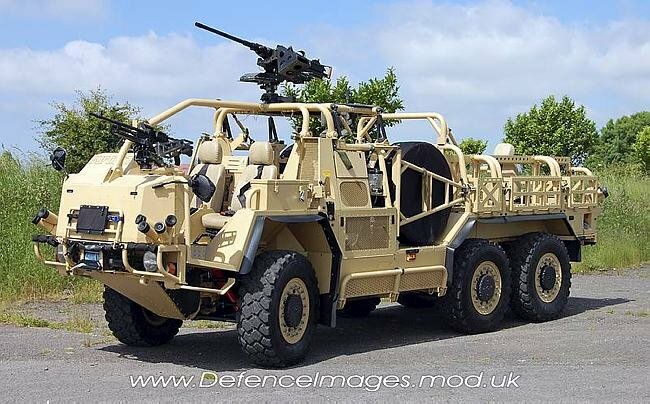 Its first customers for its High Mobility Transport vehicles (HMT – known as the 4×4 Jackal and 6×6 Coyote in British service) were the world’s special forces. Operational requirements in Afghanistan soon meant that it filled a much wider capability gap. While Jackal I was essentially the HMT 4×4 with bolt-on armour and an armoured bathtub arrangement for the driver compartment providing protection against mine and IED blasts, Jackal 2 evolved increasingly into a true armoured vehicle with much of the armour as an integral part of the vehicle itself. Additional steel plating protects the passenger seats. The upgrade also saw engine enhancements that pushed its gross weight up to 7.6 tons. To ensure a 360-degree fire arc for the main armament the weapons cupola was raised. Jackal 2, with its bigger engine, an extra body length of 14in and an extra crew seat, was a much better vehicle than its predecessor and was aimed at providing extra space for much-needed equipment. Speed was important in Afghanistan and with its 6.7 litre Cummins engine (replacing a 5.9 litre) and top speed of 80mph (130km/h) on roads and 55mph (90km/h) cross-country it ensured that it had a better chance of dealing with trouble at its own pace, quickly and effectively. With the Afghan National Security Forces (ANSF) having assumed responsibility for security across the country in 2013 there was concern about what would be left behind. The British armed forces had 137 bases; in central Helmand by this stage there were just 13. In addition, British troop levels were reduced from 7,900 to 5,200 as Task Force Helmand slowly wound down. British Forces HQ in Afghanistan relocated from Lashkar Gah to Camp Bastion. Task Force Helmand had been based at Lashkar Gah since 2006 when Britain first increased its involvement. There was speculation that many of the vehicles procured under UORs might be abandoned or gifted to the Afghan army. Many of them were acquired to meet particular operational conditions, not least to provide protection in the unending war against Taliban IEDs. This idea was not taken up by the Ministry of Defence and 99 per cent of vehicles were to be returned to Britain. As a result, an £11 million site was established in Afghanistan to process equipment ready for its homeward journey. Vehicles such as the Coyote, Foxhound, Husky, Jackal, Mastiff and Panther all have to be bio-washed in a process that can take up to 24 hours. According to the Ministry of Defence’s Defence Equipment and Support organisation, once this process was completed 2,700 vehicles were returned – 200 more than announced to Parliament. In early 2013 Lord Astor told the House of Commons that the Ministry of Defence was seeking to recover around £4 billion of inventory, the equivalent of 6,500 20ft containers and about 2,500 vehicles. On top of this, 400 tonnes of brass cartridge cases and 100 pallets of ammunition were retrieved. Likewise, 300 tonnes of lithium batteries were salvaged. Constant instability in neighbouring Pakistan meant that the Ministry of Defence could not rely on the southern transit route to Karachi and the Arabian Sea, so sought to secure a northern line of communication through the Central Asian republics and Russia. After much horse-trading, which involved gifting surplus British equipment, three transit agreements were reached with Uzbekistan. These allowed the movement of non-warlike stores and motorised armoured vehicles by rail as well as the movement of war-like stores and personnel by air in return Uzbekistan got surplus Leyland DAF trucks and Land Rover spares after it was decided they were unlikely to be used for human-rights violations or internal repression. Despite all this activity, Britain’s commitment to Afghanistan’s security continued. In October 2013 7th Armoured Brigade assumed responsibility for Task Force Helmand under Operation Herrick 19. 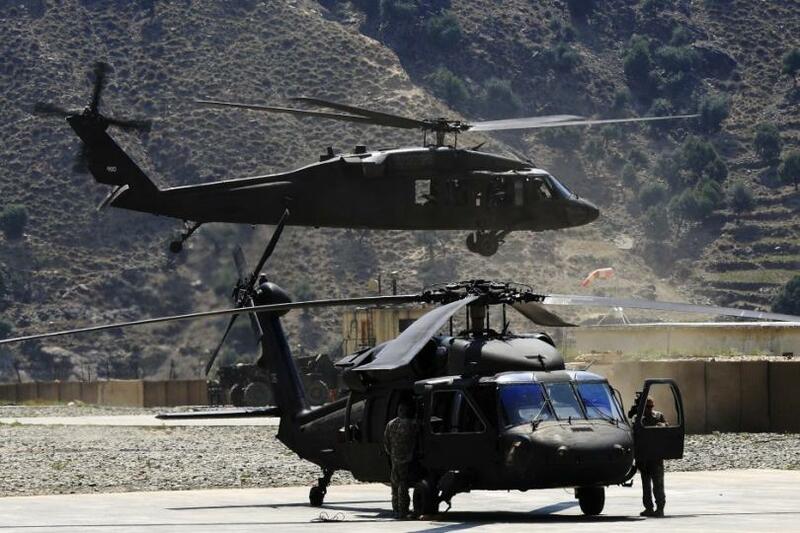 A U.S. Army Black Hawk helicopter takes off from FOB Bostick in eastern Afghanistan’s Naray district . A local gives this 45 Commando WMIK Land Rover Defender a cautious wave. Although unarmoured, these vehicles were able to lay down a heavy rate of fire and were actually liked by their crews as they offered 360-degree visibility. Many men were not so keen on being battened down inside the later range of armoured vehicles that were deployed to Afghanistan. Mopping up operations continued well into the New Year, with the Coalition determined not to repeat the mistakes of the battle for Tora Bora. The next area to be subject to a search-and-destroy mission was the Sha-i-Kot Valley (also the scene of heavy fighting against the Soviet army in 1987). Local defenders, while expecting renewed attacks from the Coalition, did not anticipate it happening so soon. In late February 2002 their strongholds were softened up by fighter-bombers, using 3,500 precision guided munitions, B-52H bombers dropping over 250 bombs and Hercules gunships spraying the area with gunfire. On 2 March 2002, Operation Anaconda launched 1,200 American troops and 1,000 new Afghan government troops under General Zia Lodin against the Shah-i-Kot Valley, supported by an armada of warplanes. The key to the operation was to prevent al-Qaeda forces from fleeing into Pakistan, so heliborne assault troops were used to block the escape routes. However, Anaconda stirred up a hornet’s nest. The column pushing up the valley road came under intense rocket and mortar fire and stalled, while one of the heliborne forces was accidentally landed in the midst of al-Qaeda defensive positions and suffered twenty-eight wounded. Air power proved crucial in helping clear the valley, though a further 1,000 Afghan government soldiers with armoured personnel carriers and tanks had to be called in. Few al-Qaeda dead were found and the enemy was either buried under the mountains or once again escaped. Following Tora Bora and Anaconda, the American special forces conducted Operation Full Throttle on 14 June 2002, in the foothills of the Spin Ghar Mountains. This was in response to the Taliban regrouping north of Kandahar. Although Mullah Omar and bin Laden had gone to ground, these forces were thought to be under Mullah Akhtar Mohammed Osmani and Mullah Barader. In particular, Osmani – formerly the Taliban’s 2nd Corps commander – had assumed the role of acting Taliban military chief in November 2001. Full Throttle was followed by Operation Anvil, which succeeded in capturing Osmani, but he subsequently escaped to Pakistan. NATO assumed control of ISAF in 2003 and expanded its area of responsibility from Kabul to encompass the country’s southern and eastern provinces three years later. This meant bringing the 12,000 American and other Coalition forces in the region under NATO control. It gave ISAF responsibility for the whole of Afghanistan, with around 40,000 troops. The upshot of this was greater integration in the south with the American-led Operation Enduring Freedom. However, the two operations continued to be directed separately, the rationale being that ISAF had a stabilisation and security mission, while OEF was overtly counter-terrorism. While numerous countries provided contingents for peacekeeping in Afghanistan, the only notable numbers beyond Britain and the US were from Germany, Canada and the Netherlands. By early 2009 there were 56,420 foreign troops in Afghanistan of which 24,900 were American and 8,300 were British. The ANA totalled 79,300, though the Afghan government and UN agreed in 2008 to boost the ANA to 122,000 troops by 2011. It would eventually grow to 350,000. The HQ of NATO’s Allied Rapid Reaction Corps, under British direction, took control of ISAF in May 2006 for a nine-month period. This coincided with ISAF’s move south and the arrival of additional British troops in Helmand province for three years. Taliban activities soon made it clear that British numbers and equipment were insufficient to contain the threat. This forced the British Ministry of Defence hurriedly to procure more armoured vehicles for deployment in Afghanistan during the first half of 2007. 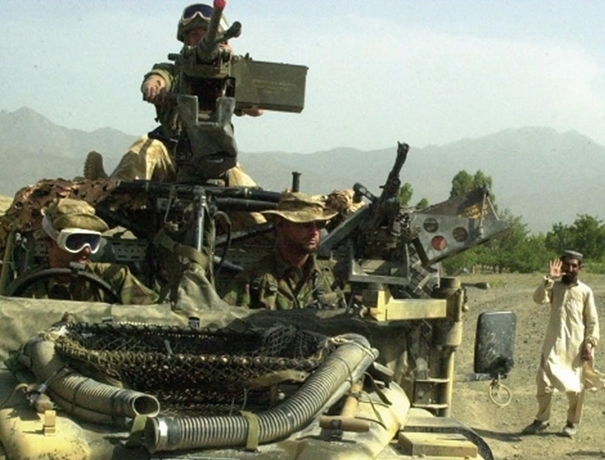 The British public really woke up to the country’s involvement when the 3 Para Battle Group deployed to Helmand province to help the Provincial Reconstruction Team (PRT) with security and stability in 2006. Sending just 3,000 men, of whom only a third were fighters supported by just six heavy lift helicopters, seemed over optimistic at best. This force would eventually expand threefold. At the behest of the regional governor 3 Para found itself divided up into penny packets to bolster the wholly ineffective Afghan National Police and the ANA. The British platoon houses acted like honey pots attracting Taliban from around the province. The civilian PRT members were redundant in the face of an escalating ground war. Nevertheless, in Helmand and elsewhere bravery and tenacity coupled with superior NATO firepower soon persuaded the Taliban that they could not win a stand-up fight. Instead, they began to wage a brutal and effective improvised Explosive Device (IED) campaign. NATO-led ISAF was almost completely reliant on the goodwill and cooperation of neighbouring Pakistan. Around 75 per cent of all non-lethal supplies required by the 130,000 ISAF troops came via the Pakistani port of Karachi and were then trucked north. For this road traffic there were essentially just two key crossing points over the mountains between Afghanistan and Pakistan. NATO-ISAF supply routes were highly vulnerable, a fact not missed by the Taliban. Convoys had little or no security and the Pakistani Police claimed that it was impossible for them to provide 24-hour protection. As a result, NATO civilian supply lorries were regularly targeted in Islamabad, Karachi, Peshawar and the southern province of Baluchistan from the summer of 2008 onwards. In the border areas the Taliban regularly hijacked lorries, kidnapped the drivers and stole their cargos. In the Khyber tribal region militants wrecked or seized numerous NATO transport vehicles. American troops took considerable steps to secure Afghanistan’s Kunar province to the north of the Khyber Pass. This was in response to insurgents filtering through the Pech and Kunar valleys towards Kabul. American Marine, Mountain and Airborne units established a string of bases in the Pech, Waygal, Shuryak, Chowkay and Korengal valleys. There were rumours that elements of the 9/11 attacks were planned in the Korengal. Similarly, there were rumours that both Osama bin Laden and Ayman al-Zawahiri used this route regularly to transit in and out of Pakistan. It was far easier to cut off ISAF’s supply routes through Pakistan than to cut off the insurgents. NATO and the US were highly critical of the Pakistani army’s reluctance to tackle militants in North Waziristan following operations in South Waziristan. For some time both the US and NATO were demanding that Pakistan assert full control of all the tribal areas along the volatile Afghan border. It was here that foreign jihadists were trained to fight for al-Qaeda and the Afghan and Pakistani Taliban. In addition, North Waziristan provided sanctuary for militants conducting attacks right across Pakistan. The Pakistani government came under increasing pressure from Washington to crack down on the unrest and lawlessness that was blighting supply convoys in the border regions. The different Pakistani militant groups, including the Taliban, had the ability to strike with seeming ease. Pakistan was like a powder keg, forever just one step from a spark that would blow the whole thing to pieces. The country was caught between a rock and a hard place. Its foreign allies and partners were constantly exhorting it to greater efforts in the war on terror both at home and abroad. Internally, its competing religious and political groups were constantly straining the very fabric of the beleaguered state. In the meantime, the US and NATO were making rods for their own backs. The Taliban, normally largely dormant during the winter, escalated their campaign largely in response to US special forces conducting operations throughout the winter months against its leadership and logistical routes. In addition, missiles fired from US drones or unmanned aerial vehicles (principally the aptly named Reaper) regularly killed Afghan and Pakistani Taliban inside Pakistan. This created an anti-American backlash and culminated with tribal leaders in North Waziristan vowing revenge on the US. In southern Pakistan the road runs from the city of Quetta to Chaman through the Khojak Pass and across the border up to Kanadahar, which sits astride Afghanistan’s great ring road. To the north the road runs from Islamabad through Peshawar to the Khyber Pass and over the border to Jalalabad and on to Kabul. Militants were able to cross the border via the innumerable mountain footpaths, many of which were developed during the Soviet-Afghan War. The Taliban claimed they set up a special unit to target ISAF supply convoys inside Pakistan and that this strategy would not cease until the supply routes had been completely cut. The Taliban scored a notable propaganda coup when they filmed themselves with seized American Humvee motor vehicles in November 2008, which had been destined for American forces across the border in Afghanistan. ISAF claimed its operations remained unaffected by the destruction of these vital supply convoys, but behind the scenes it was seeking alternatives in order to reduce its reliance on ever-unstable Pakistan. Clearly, ISAF could not sit idly by while the Taliban strangled it. However, the only real alternative was that supplies were brought into northern Afghanistan via Tajikistan and Uzbekistan. This was not a viable option, as all supplies first had to be flown in to intermediate countries rather than be shipped by sea. In June 2010 around a dozen militants walked into a vehicle depot just 6 miles outside islamabad and shot up twenty lorries setting them on fire. The attackers quickly escaped in two cars and on motorbikes, leaving behind millions of dollars worth of destruction and seven dead and four wounded. Alarmed at the complete lack of security, local truckers closed the grand trunk road between Lahore, Rawalpindi and Peshawar before the police managed to move them on. The Pakistani government refused to step up security despite the Taliban publicly acknowledging they were targeting the trucks and tankers. It was also alleged that Pakistan’s intelligence and security forces were deliberately looking the other way to encourage the attacks to punish NATO for the border violations and American drone attacks. The Battle of Dennewitz, fought during the 1813 campaign in Germany, took place just south of Berlin, between the (French) Army of Berlin, under Marshal Michel Ney, and the (Allied) Army of the North, under the Crown Prince of Sweden, formerly one of Napoleon’s marshals, Jean-Baptiste- Jules Bernadotte. 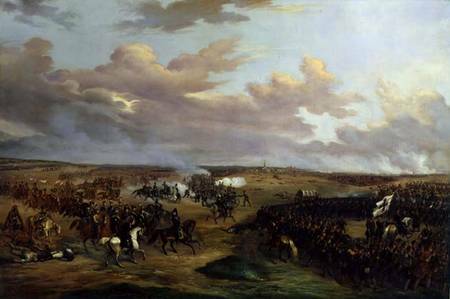 It was Napoleon’s second attempt to seize Berlin during this campaign and was as unsuccessful as Marshal Nicolas Oudinot’s first attempt, which ended at the Battle of Grossbeeren. The Army of Berlin consisted of IV (under General Henri-Gatien Bertrand), VII (under General Jean Reynier), XII (Oudinot) Corps, and the III Cavalry Corps (under General Jean-Toussaint Arrighi de Casanova), about 58,000 men with 199 guns. The Army of the North consisted of III (Friedrich Graf Bülow) and IV (Friedrich Bogislav Graf Tauentzien) Prussian Army Corps, General Ferdinand Winzegorode’s Russian corps, and Baron Stedingk’s Swedish corps, around 120,000 men. Of these, around 43,000 Prussians were involved in the battle, although reinforcements were close to hand, some of which were committed at the end of the battle. The terrain consisted mainly of open fields covering gently undulating hills with some small woods. The banks of the Ahe brook that ran through both Dennewitz and Jüterbog were marshy and could only be crossed at the bridges at Dennewitz, Rohrbeck, and Jüterbog. On 5 September, Ney’s army commenced its march on Berlin, moving toward Zahna and Jüterbog. Oudinot made contact with the Allied outposts almost immediately and brushed them aside. Tauentzien fell back to Jüterbog. Receiving news of the French movement, Bülow marched off to support Tauentzien. The next morning Bertrand clashed with Tauentzien’s shaky militia at Dennewitz, gaining the crossing there. The Prussian militia delayed Bertrand long enough for Bülow to arrive. Tauentzien’s cavalry covered the withdrawal of his infantry. That afternoon, Bülow engaged Bertrand, who had now crossed the Ahe and deployed, and Reynier, who had drawn up to the south of the brook. Attack was followed by counterattack in what constituted some of the bitterest fighting of the fall campaign. Charles Antoine Morand’s artillery of Bertrand’s corps threw back the first Prussian assault made by General Heinrich von Thümen’s brigade. A brigade under Ludwig, Prince of Hessen-Homburg then forced Morand to retire. Reynier’s Saxons then came into action along a line from Göhlsdorf to Dennewitz. Knowing that the Swedes and Russians were moving to assist him, Bülow decided to make a further determined effort before any more French reinforcements arrived, sending in General Karl von Borstell’s brigade. He captured Göhlsdorf, but could not make any further headway against Reynier. About 3:30 P. M., Oudinot arrived. He immediately attacked Göhlsdorf and recaptured it. Bülow’s men were exhausted, the reinforcements were still some way off, and his artillery failed to silence Ney’s. Victory was at hand when Ney ordered Oudinot from his left to his right, which Oudinot did despite remonstrations from Reynier. This gave Bülow the opportunity to counterattack and regain Göhlsdorf. The Prussian assaults on Bertrand ended when they ran out of ammunition, but just after 5:00 P. M. fresh Russian artillery broke him with salvos of canister fire. Finally, Russian and Swedish troops then threw back Reynier. Ney’s army was devastated, losing 22,000 men, 53 guns, 412 wagons, and four standards. The Prussians lost around 10,000 men. 3 Korps: Friedrich Wilhelm Freiherr von Bülow 3rd Bde: Hesse-Homburg: 2nd E Prus Grenadier battalion, 3rd E Prus IR, 4th Res IR, 3rd E Prus LW IR, 1st Hussars. 4th Bde: Thuemen: 4th E Prus IR, 5th Res IR, Elbe IR, E Prus Jaegers, Pommern Kurassers. 5th Bde: Borstell: 1st Pommern IR, Pommern Gren bn, 2nd Res IR, 2nd Mark LW IR, Pommern Hussars. 6th Bde: Krafft: Kolberg IR, 9th Res IR, 1st Mark LW IR, 1st Pommern LW Cavalry. Cavalry Reserve: Oppen Bde. Treskow: Brandenburg Dragoons, Koenigin Dragoons, W Prus Uhlans. Bde. Malzahn: 2nd Pommern LW, 4th Kurmark LW, 2nd Kurmark LW, 2nd W Prus Dragoons. Bde. Cossacks: Bychalov II Pulk, Illowaisky V Pulk. Artillery 3: 12-pdr Foot (Prus-2 batteries), 12-pdr Foot (Russian-2 batteries), 6-pdr Horse (Prus-3 batteries), 6-pdr Foot (Prus-4 batteries). 4 Korps: Bogislav Friedrich Emanuel von Tauentzien: lightly engaged. Swedish Corps: not engaged. IV Corps: General of Division Henri Gatien Bertrand 12th Division (French): Charles Antoine Morand: 1st Bde. Belair (Lt inf), 2nd Bde. Toussaint. 15th Division (Italian): Achille Fontanelli: 1st Bde. St Andre, 2nd Bde. Moroni, 3rd Bde. Martel. 38th Division (Wurttemberg): Franquemont: 1st Bde. Stockmayer, 2nd Bde. Spitzenberg. Cavalry IV: 24th Lt Cav Bde. Jett: (Wurttemberg & Poles). Artillery IV: 12-pdr Foot (2 batteries), 6-pdr Horse (3 batteries). References and further reading Hofschröer, Peter. 1993. Leipzig 1813: The Battle of the Nations. London: Osprey. Leggiere, Michael V. 2002. Napoleon and Berlin-The Napoleonic Wars in Prussia, 1813. Norman: University of Oklahoma Press.